Demand is strong and growing for this relatively new product to combat identity fraud in mobile and online channels. Boston, October 3, 2018 – As the incidence of identity crimes continues to grow and consumers increasingly use their mobile devices to carry out high-risk processes, financial institutions and other firms need to determine who is on the other side of the device. Can scanning the consumer’s identity document not only provide confidence that the person is who he or she claims to be but also improve both operational efficiency and the customer experience? 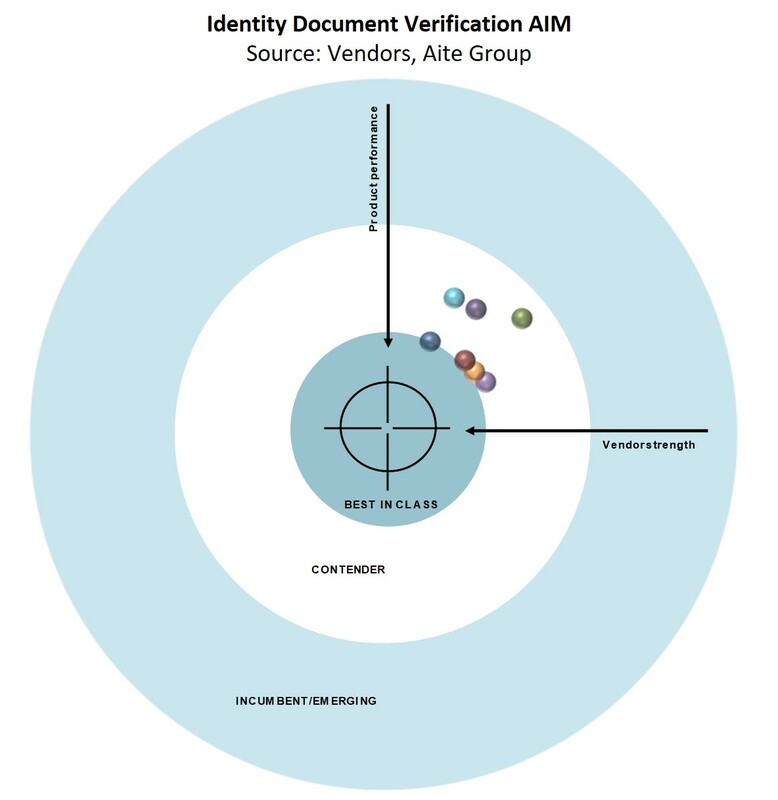 Leveraging the Aite Impact Matrix (AIM), a proprietary Aite Group vendor assessment framework, this report explores some of the key trends within the identity document verification market. It is based on detailed requests for information, product demos, and interviews with client references that took place from March to July 2018. This report profiles seven vendors: Acuant, IDology, Jumio, LexisNexis Risk Solutions, Mitek, Onfido, and Paycasso. This 63-page Impact Report contains 24 figures and 13 tables. Clients of Aite Group’s Fraud & AML service can download this report, the corresponding charts, and the Executive Impact Deck. This report mentions Au10tix, Confirm.io, GB Group, Gemalto, ID.me, ID Analytics, Kofax, and Yoti.